Proven solutions. Easy to use. Work more efficiently. The success of OPTIMAL SYSTEMS software is based on its versatility, flexibility, and universality. It is the framework for functional, innovative solutions which master the wide variety of challenges of enterprise content management, and can be precisely adapted to the requirements of your company, administrative department, or organization. Keep track of your major projects with the digital business partner record from enaio®. The ECM solution offers numerous features for customer acquisition and support as well as project organization. Promote collaboration across departments and locations in your company. enaio® creates the basis for this with central digital administration, secure rights management, and search functions. enaio® Deviation / CAPA is a best practice solution that centrally records and documents deviation reports in companies. 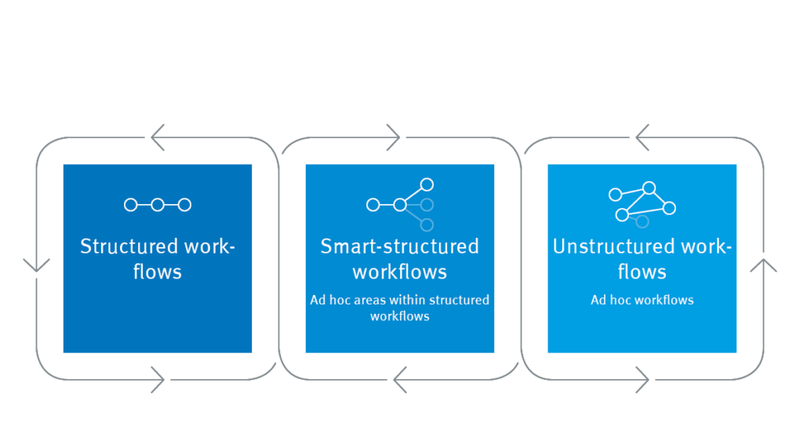 Workflows support the processing and evaluation of events. Ensure safe storage of your business data with a reliable archiving solution such as enaio®, including central document access, configurable storage, electronic signature, and much more. enaio® capture helps you to capture, import, and store documents, whether digital or analog. Barcodes are automatically recognized and scanned documents are archived directly, even in the context of workflows. 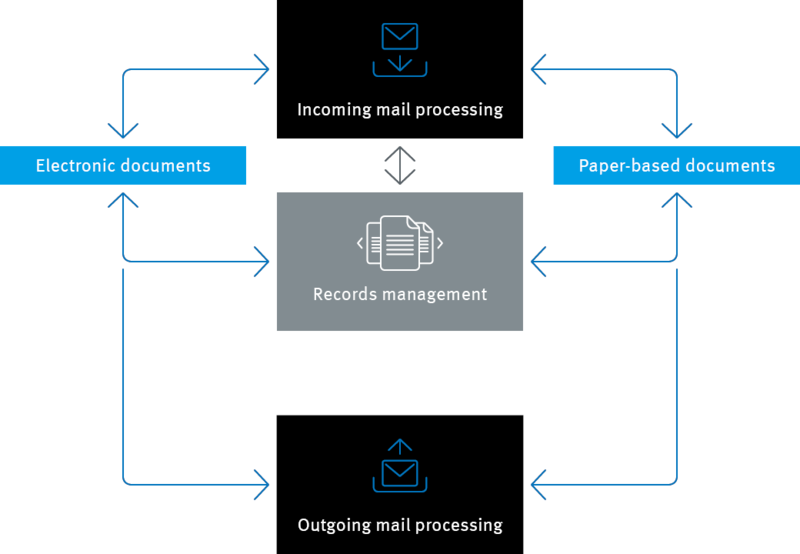 When it comes to the automated recording of incoming mail and invoices, enaio® classify is in its element. 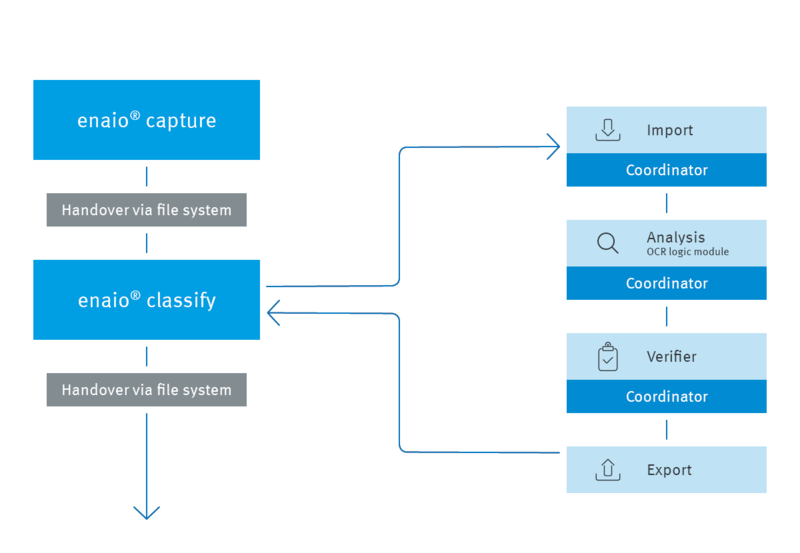 The classification component reads index data, determines storage locations, and transfers documents to workflows. Thanks to document lifecycle management, simple workflows, and the digital workflow file, your quality and risk management systems become more relevant and reliable. Being able to view process throughput times, assess waiting times, track requests, and more highlights gaps in the offered services, makes it possible to analyze them, and enables you to meet customer requirements more easily. The enaio® document management solution manages information and documents in a single platform. The range of functions includes context-related archiving, search tools, and connections to specialist applications. Organize joint projects, share documents, exchange information: enaio® coLab, the new collaboration tool, offers this and much more. Make your business and work processes even more effective and cost-efficient. enaio® provides you with structured workflows and automation tools for your internal company processes. Trouble keeping an overview in your mailroom? enaio® accelerates the distribution of incoming mail. From capturing to classification, from pre-sorting to batch processing, new resources are released. Access your Office documents at any time and from any location: enaio® provides interfaces to all relevant Microsoft applications. 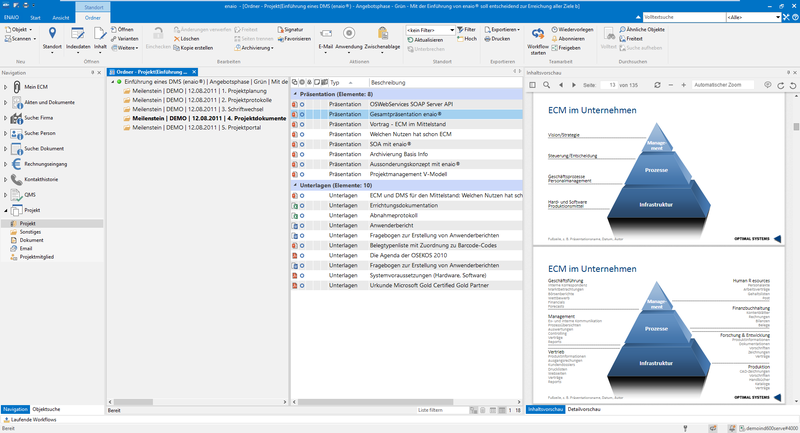 Connect Office, Groupware, and Outlook with one ECM. Manage and document laboratory processes even faster and more conveniently. 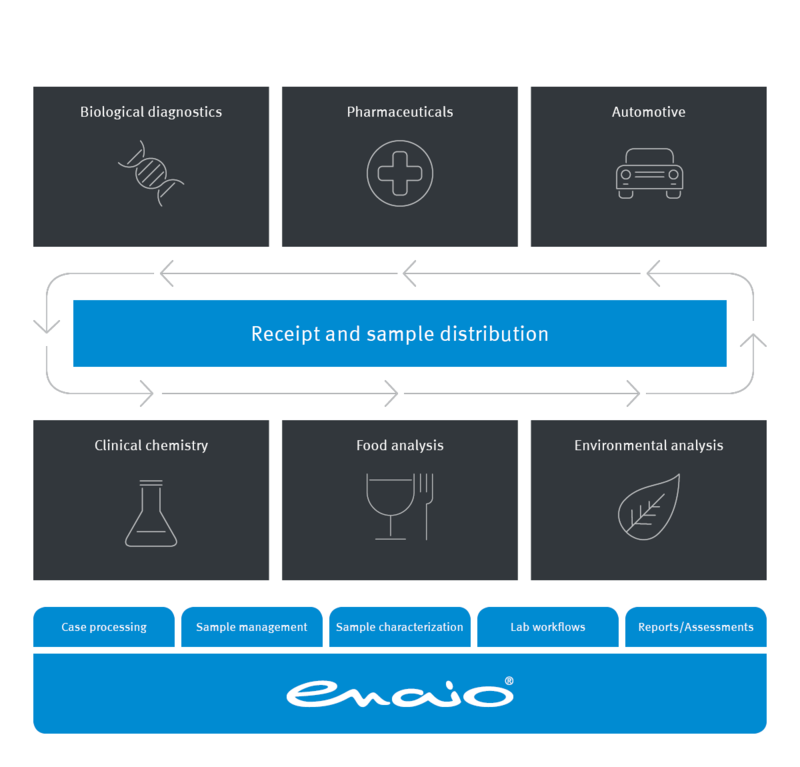 enaio® labs is the basic solution for sample analysis, expert opinions, and laboratory workflows. From automotive to pharmaceuticals. Manage E-Mails with a Direct Connection to Outlook & Co. 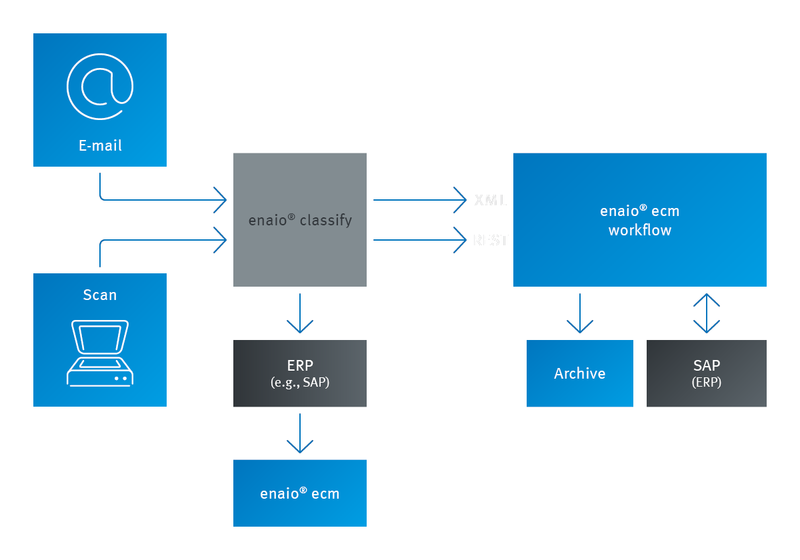 Better collaboration, greater productivity, a structured system – that’s email management with enaio®. With tight integration into Microsoft Outlook, rule-based archiving, and fulfillment of compliance requirements. Optimize your project management with enaio®: with digital project records, comprehensive workflow features and simple rights management. For targeted project coordination and better communication. 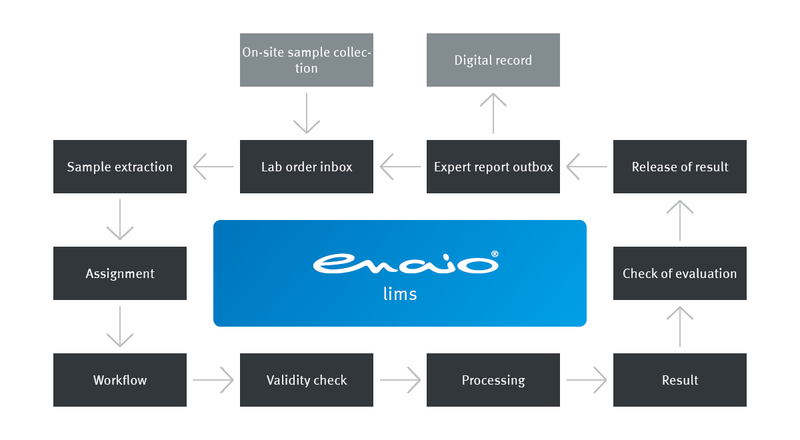 enaio® lims is a module of the Laboratory Content Center, the ECM-based processing system for laboratory processes. The module enables the processing and management of laboratory samples and measurement results. 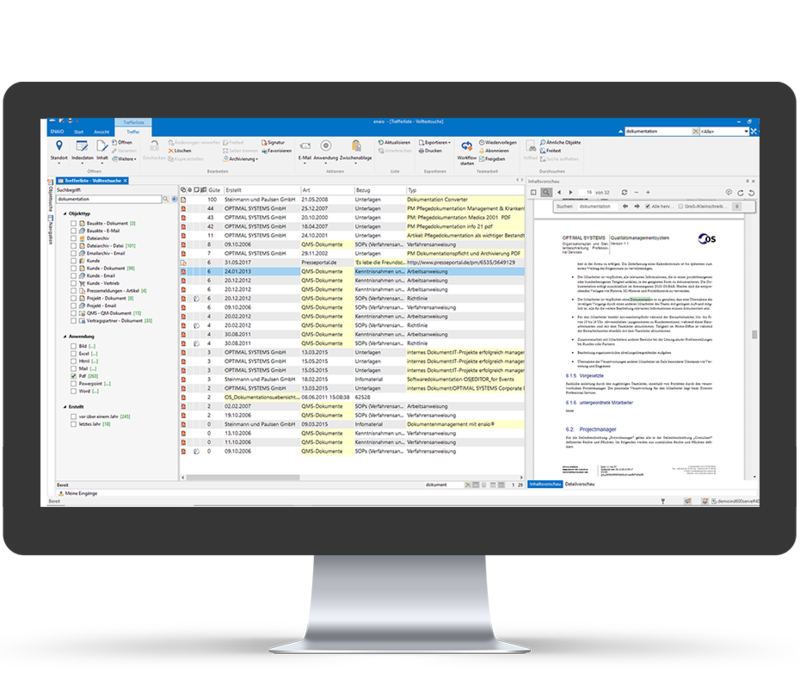 Tap into the world of information in your company in no time at all: enaio® delivers fast results using Enterprise Search, including auto-completion and full text search. A real home-run. From any location, from any device, worldwide, enaio® webclient enables convenient access to your enterprise management system whenever you want.